Fur Trade of the 1700's. However, it contains many household items words and conversations regarding buying, selling, and trading. 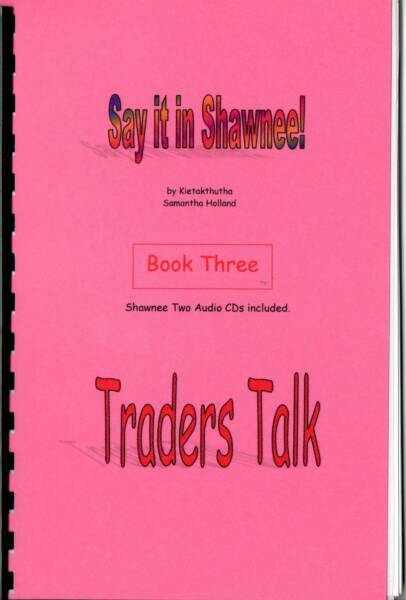 This 79 page book and 2 audio CD’s were created for re-enactors and others interested in Shawnee words regarding the fur trade in 1700’s and commerce in general. This book includes the trade Goods coming into the York Factory in 1740 and their worth in made beaver ( prime beaver pelts), Regulation of Trade Goods and their worth in pelts for Fort Pitt and Niagara in 1761. 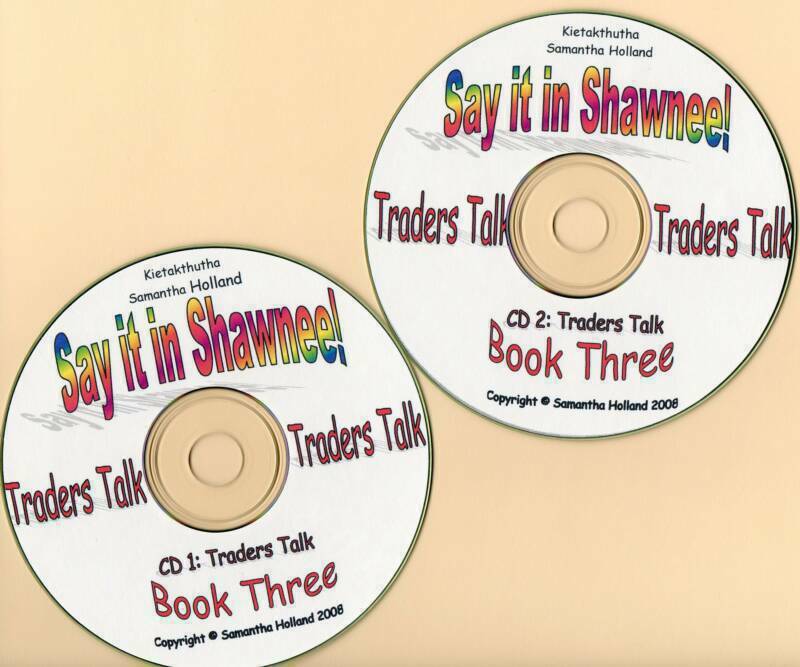 All trade goods, fur pelts and money are translated in Shawnee. The book also includes counting to 1000.